The best thing about work, is going home – especially if that involves hurtling down a mountain on a homemade toboggan thingy. 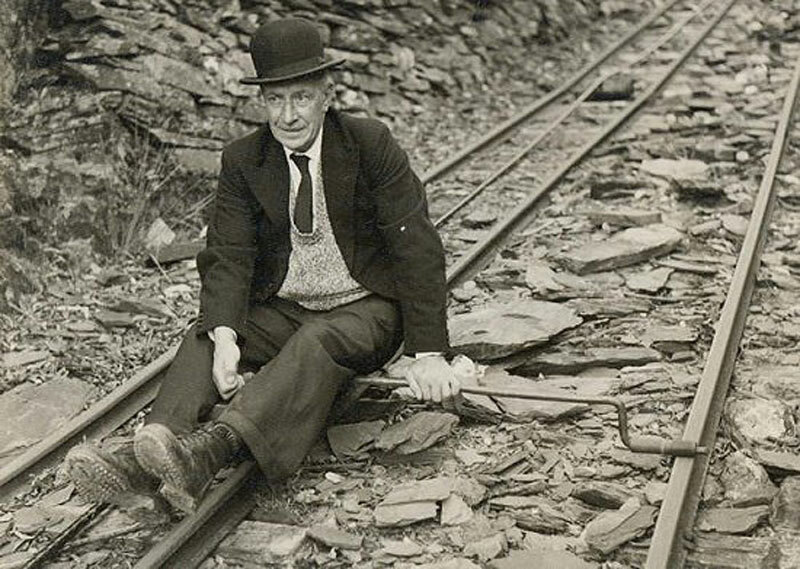 This is what workers at the Craig Ddu slate quarry, near Blaenau Ffestiniog, used to do when the 4pm klaxon sounded at the end of the day. It’s something which started back in the 1870s when the quarry blacksmith, Edward Ellis, came up with the first Car Gwyllt (Wild Car). This was a trolley made from a bit of wood, a caster and an iron bar. It was designed to fit onto the middle rails of the track used by the quarry’s transport wagons. It allowed workers to hit speeds of up to 50mph as they made the 1,000ft descent in minutes. Each worker would have their own car which would often be personalised with initials and lucky mottos. The carts became more sophisticated over time with braking systems and padding being added. When they got to the bottom they would chuck their cart into a wagon which would be transported back to the top of the mountain each day. The carts lived up to their wild name with regular accidents, broken bones and even deaths. If you didn’t use any kind of braking, you were in serious risk of knacking yourself. The Wild Cars were used up until the quarry shut in the 1940s.